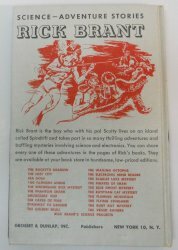 Rick Brant Science Adventures, originally a series of 23 books published by Grosset and Dunlap 1947 through 1968 and a 24th volume published by Manuscript Press in 1990. 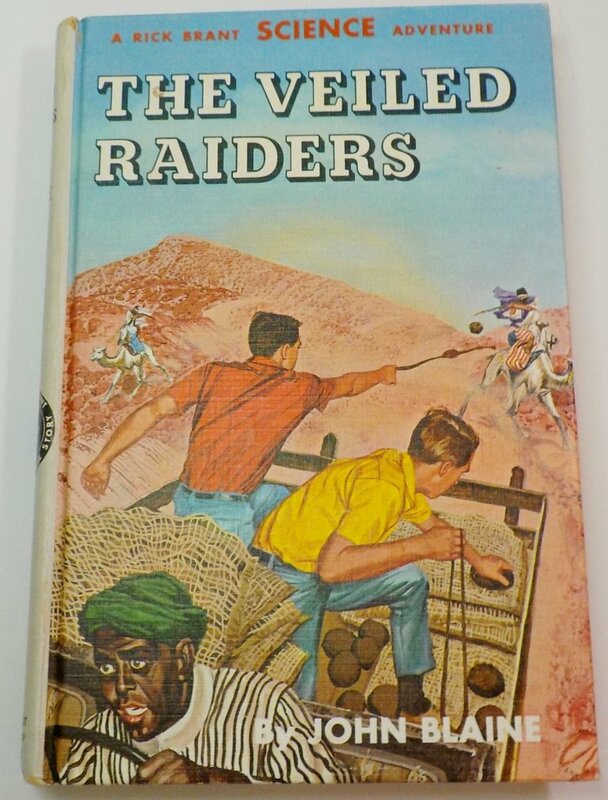 Volume #20 The Veiled Raiders was published in 1965. 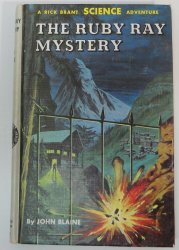 This is a first edition/print. This is picture cover of Rick Brant #20 The Veiled Raiders. 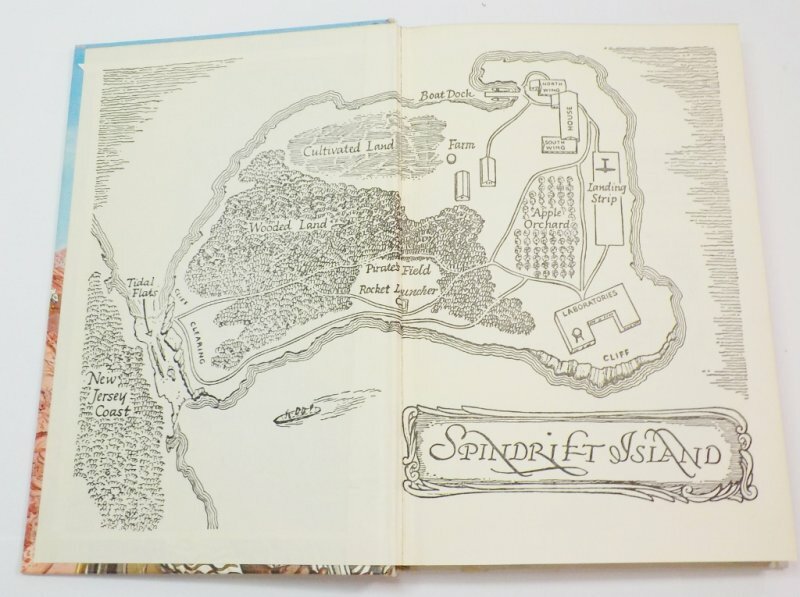 This book has the white endpapers of the map of Spinthrift Island. The back cover book list is listed to #20. 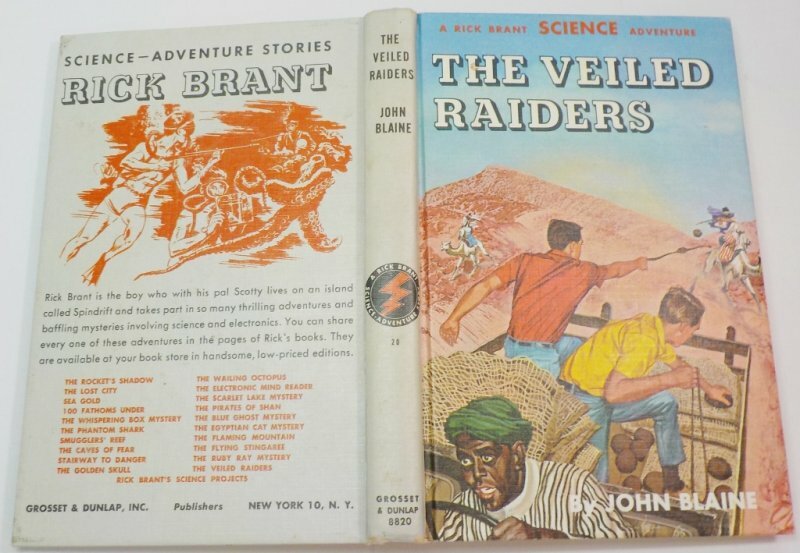 The Veiled Raiders, indicating a 1965 first edition/year print and the true last book is Rick Brant's Science Project. 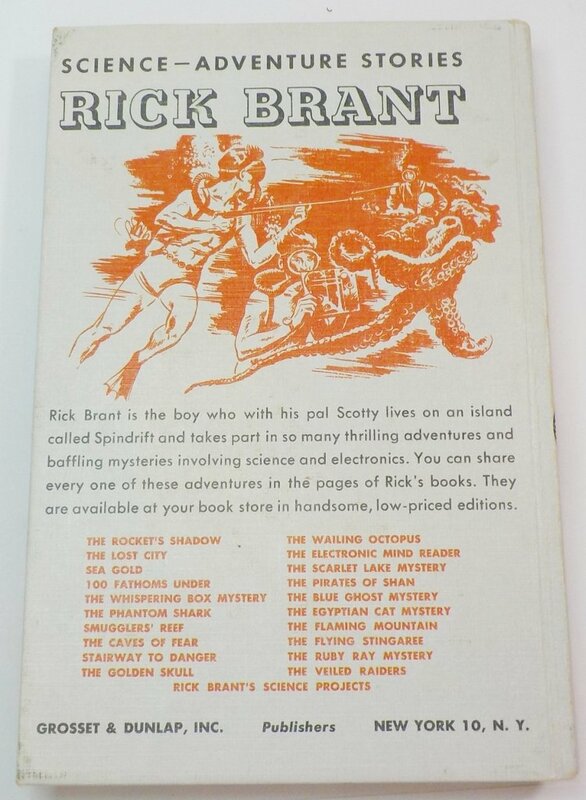 Rick Brant Science Adventures, originally a series of 23 books published by Grosset and Dunlap 1947 through 1968 and a 24th volume published by Manuscript Press in 1990. 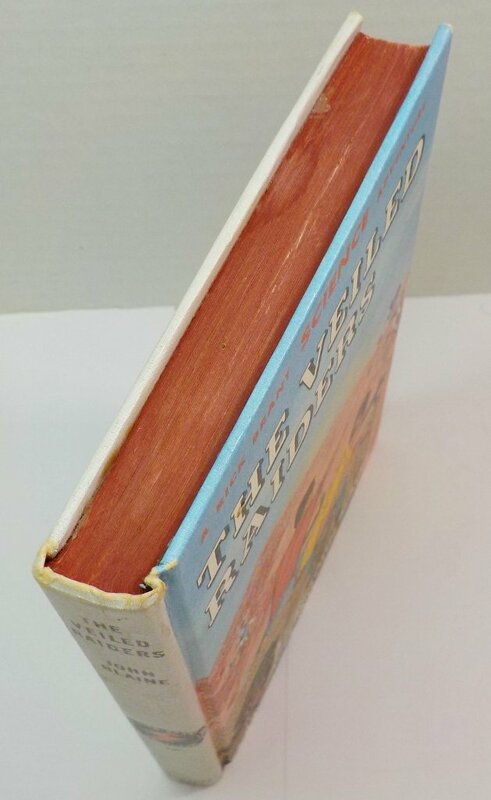 Condition: The book is in very good++, has minor corner and edge wear. There is no writing, slight slant and clean white pages. Small tear on back endpapers from excess glue at time of binding.